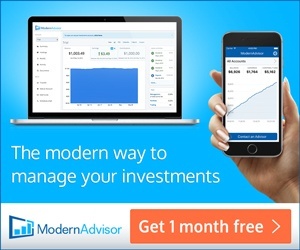 Diversification remains the only free lunch with investing – Modern Portfolio Theory. This theory recognizes we humans are generally risk-averse and ready to run from any bear in the woods instead of running towards it. According to this theory, one that is generally embraced by most financial academics and personal finance gurus, we can enhance portfolio returns while suppressing volatility through diversification. Diversification then, via different assets classes (bonds, stocks), via different economic sectors (banking, consumer goods), via different countries other than your own (U.S., England, Brazil) is therefore a very good thing. 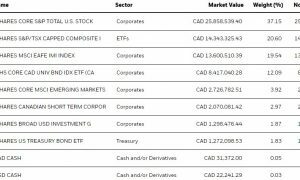 Recently, I shared my top Canadian dividend Exchange Traded Funds (ETFs) to consider for your portfolio. These ETFs are ones that I feel, will provide a steady income stream for you while providing some essential diversification within the Canadian equity market. Today’s post will look at some of my favourite U.S. dividend ETFs for your portfolio and why. Here’s my list of Canadian-listed ETFs first. This ETF gives you exposure to 75 quality, higher-yielding blue-chip U.S. dividend paying stocks; companies that have a consistent track record of paying dividends and increasing their dividends (usually every year). Think for a moment about some of the biggest multinationals in the world, this ETF holds them. As part of the fund’s top holdings, this ETF consistently holds stocks like Exxon (big energy), AT&T (big telco), Johnson & Johnson (big health care), and Coca-Cola (big consumer goods). I like this U.S. dividend ETF for its low fee, depth of holdings but I do have one negative comment to share about it – it’s a Canadian-hedged product. Canadian-hedged products tend to be more costly than their non-hedged cousins over time. This is because currency hedging is largely an imprecise science experiment. Such experiments lead to higher costs over time. First Asset Management did a fine job discussing this issue and you can check out that article here. MoneySense magazine has also written extensively on this subject over the years. That said, investors who want to avoid the complexities associated with buying foreign stocks or ETFs in other currencies may want to absorb the small costs associated with Canadian currency-hedged products – just remember sometimes with investing convenience comes at a cost. This product provides exposure to 100+ blue-chip U.S. dividend paying stocks; companies that have increased their dividends for the last 20 consecutive years. This is another Canadian-hedged ETF product. Also, like other Canadian-listed ETFs that hold U.S. assets, be mindful such ETFs held in non-registered account have withholding taxes that apply (15%) but these are recoverable when investors file their tax returns. In an RRSP or TFSA withholding taxes also apply but you cannot recover those fees because these are tax-deferred and tax-free accounts respectively. You’ll see this product is more expensive than XHD, so while it’s in my list, there are others to consider. Vanguard Canada remains a low-cost ETF leader, great for investors abroad. This ETF owns almost 200 U.S. stocks that have a record of increasing their dividends. This product is largely a clone of the U.S.-listed Dividend Appreciation Index ETF (VIG). This ETF tends to hold higher-quality, established companies in the industrial, consumer goods and consumer staples sectors (think Microsoft Corp., Coca-Cola Co. and Johnson & Johnson). If you want the Canadian-hedged version of this ETF – there is VGH. I like this ETF (VGG) for its low-cost structure and higher diversification amongst its peer group but the yield isn’t that high (1.6%) – so I would expect some capital appreciation instead of income. This means you would need to sell ETF units to generate your income in comparison to other ETFs in this list that provide more distribution yield. I first found out about ZDY from Dan Bortolotti’s Canadian Couch Potato. ZDY is a Canadian-listed ETF of U.S. dividend paying stocks but it’s also a non-hedged product; thereby making it one of the lowest-cost Canadian-listed U.S. dividend ETFs you can own. The fund’s holdings are defensive and income-focused, which is a very nice combination in my opinion. It uses a rules-based approach that includes U.S. stocks with a strong three-year dividend growth rate, modest yield and payout ratio. For the price and the cost savings that should come with a non-hedged product this ETF is a top-choice for income investors seeking rich U.S. diversification. This unhedged Canadian-listed ETF reflects the performance of top U.S. blue-chip stocks, using some proprietary screening methodologies from Morningstar. Based on this methodology you’ll see a number of stocks that may or may not be household names but the screening criteria dictates these securities have above-average returns on equity and high cash flow relative to debt. Top holdings include Caterpillar, Valero Energy, Rockwell Collins and Apple. Now let’s move to some U.S.-listed ETFs. With a modest MER and access to almost 100 U.S. stocks with a 5-year track record of paying dividends, this ETF is a strong consideration for the income-oriented investor. Recall inside your RRSP account, there are no withholding taxes (15%) when you own a U.S. listed ETF. Total return has been over 6% for the last 10 years. An uber-low cost U.S. dividend ETF with a yield consistently over 3%? There’s not many on the market – this is one of them. This ETF costs just 0.08% and holds 75 of the highest-yielding companies in the U.S. market. If was going to own a U.S. listed dividend ETF for steady income, this would be it (Disclosure – we own it). Another rock-bottom cost ETF with 80+ holdings. The fund does not put more than 1.67% in any one holding. High dividends to juice the fund’s yield are derived from utility stocks and the REIT sector. This product holds hundreds of stocks however 30% of the fund is typically comprised from the top-10 holdings – the usual blue-chip suspects: Exxon, Johnson & Johnson, GE, AT&T, Verizon, Pfizer, and Wells Fargo. This is one of the only ETFs I know of that owns U.S. stocks that have raised their dividends for at least 25 consecutive years. The diversification is therefore small in comparison to other dividend ETFs, 50 holdings. No doubt I’ve missed a few candidates but I believe this list is plenty good enough to start your research. As always, when unsure about the products that fit within your financial plan, please consult a financial professional before making any major investment decisions. Last but not least – let me know your thoughts about the list. Thanks for reading. 29 Responses to "Top U.S. Dividend ETFs for your portfolio – 2016"
There certainly seem to lots to choose from. As with my Cdn stocks I prefer to choose US -individual stocks. Buy the best selectively rather than trying tow own everything and have to hold those you would not normally want to buy. Actually I sold all our US holdings when the price was high and exchange rate low. I’ve since invested the funds in the Cdn stocks we already own, increasing our income quite a bit. No doubt that strategy worked well. We continue to own a number of U.S. stocks, some of the holdings in HDV and VTI. There are many US dividend ETFs to choose from but I think these are the best for diversification. I recognize your desire for individual stocks – you’ve done very well with your approach. 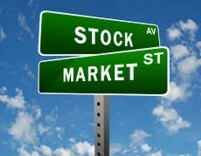 There have been many who feel owing individual stocks are a “hassle”. That implies, at least to me, buying, selling, then looking for new stocks to buy and repeat. Yet they seem content to buy a few etf’s and hold them. Why not take that same attitude with individual stocks. Find 10-15 of the best Cdn & US stocks, buy, add and hold. Certainly with the etf’s you own everything, the good & the bad (or less good). Among that group there will be the cuts, loses and your average return must be lower. With 10-15 select companies with a long history of earnings & growth your chances of cuts and loses will be lower and growth greater. I hear ya, re: individual stocks a hassle. Then again, with the indexing approach you get “studs” and “duds”. There is no perfect recipe. Another ETF worth considering is SPDR S&P Dividend ETF – SDY. This ETF tracks a yield-weighted index of 50 dividend-paying companies from the S&P 1500 Composite Index that have increased dividends for at least 20 consecutive years. It’s been the best long term performer in the U.S. dividend ETF space since inception in 2005. It is also worth it to consider SCHD. The MER is hard to beat. Another good product. Thanks for including that. Will strongly consider adding to future lists. For disclosure I hold HDV in our stable. Caveat emptor. Can’t imagine why they’d omit a quality ETF like SPHD yet include high risk, 2X leveraged DVYL and SDYL. DIV is high yield mainly because it contains MLPs. Not sure how this impacts distributions made to Canadians but I suspect there will be some withholding tax subtracted. Buyer beware! Shouldn’t matter in an RRSP, MLPs within an ETF. MLPs distributions to non-residents are deducted 35% non-recoverable withholding taxes on all accounts. I speak from experience. Ouch. That’s steep. So that includes RRSPs (that are considered pension-accounts in the U.S.) where withholding tax on U.S. dividends is not charged? Not all DIV holdings are MLPs, that’s why I wonder how the final distribution amount is impacted. Yep, in an RRSP as well. That’s where I keep all my U.S. holdings and found out the hard way in 2008 with OKS. To my knowledge AMLP is the only MLP ETF or stock that doesn’t deduct withholding taxes on distributions to Canadians if held in a retirement account like an RRSP. Trouble is the complicated tax structure within comes with really high management fees of ~ 5.50%. Good lesson learned and thanks for sharing that. Not MLPs are created equal though. I hadn’t seen the link article before Mark. Why would you not own BEP.UN instead of BEP? I own BEP.UN, BIP.UN and BPY.UN in my RRSP and have had no issues what-so-ever. I can see tax problems with the U.S. listing as they are MLPs but not with the Canadian listings if held in an RRSP or TFSA. Both versions pay in $USD. Many Brookfield companies pay their dividends in USD. If you hold BEP.UN, BIP.UN, etc. in your CDN $$ RRSP – you are incurring currency conversion charges by your brokerage to turn CDN $$ dividends to USD $$. These are interlisted companies as you know. You can move them around/Gambit them if you wish. Mark, I prefer to keep it simple and not hold two currencies in my accounts. I keep everything in $CAD, therefore I own the Cdn listing if the stock is inter-listed. That said, I wasn’t aware of currency conversion charges on dividends from $USD to $CAD. Are you sure this isn’t done only on buys & sells? Gotcha Bernie. We own CDN and USD, and we own a few CDN inter-listed stocks that trade on the NYSE and pay dividends in USD $. The Brookfield family has a few of those. I’m almost positive about the USD $$ to CDN $$ – some brokerages take a cut. A good question since SHPD is worth a serious look. I think the answer may be its considered a multi factor vs the simply high dividend screen I used. As you probably know it is the 50 least volatile co’s within the top 75 best paying names in the S&P500. Yes, I saw the leveraged “plays”, hence my caveat emptor. I will be sure to add this to my list next year – certainly the low-vol is a defensive stance. That’s a good screen but I’m not familiar with some of those…do any of those have/use leverage? DVYL and SDYL are 2X leverage. 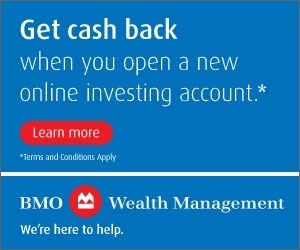 FYI…As a follow-up, I contacted my broker, BMO InvestorLine to get some clarity on conversion charges. They confirmed there are no currency conversion charges on $USD to $CAD dividends. As I suspected, the charges only apply on buys and sells. That’s good. I thought for some reason they took a cut. Buys and sells I could see for sure. Good news Bernie! Thanks for sharing. Seems like a good indexed fund Rob, but not a dividend ETF per se. Yield is 1.6% so you’re going to get capital growth/gains with this one and not a modest yield like some other funds I profiled. Still a great product.